Today’s Gospel passage is part of Mark’s instruction on discipleship. The fledgling Christian community was beset with inner conflict wrestling with how their belief in Jesus affected the customs and practises under Mosaic law. We hear in the Gospel how the Pharisees tested Jesus about these practices and how divorce was permitted under Mosaic law. The normally gentle and accepting Jesus bluntly states that divorce was never part of God’s plan. The man who divorces his wife and marries another commits adultery against her. Infidelity is not a part of God’s plan. We know that marriage is incredibly important, so what makes a marriage? Is it a legal ceremony and a marriage license? Is it a Church ceremony with organ, candles, and priests? Is it the bodily union of the partners? While all of these are important it is the joining of the lives of a man and a woman that constitutes marriage. Marriage is a covenant established through the free, informed consent of both parties who give themselves irreversibly and completely to each other. Even if they are not baptised people a natural marriage bond is formed that is greatly respected by the Catholic Church. When it happens between two baptised persons the Holy Spirit is poured out and that natural bond is elevated to a supernatural sacrament. The natural blessings of marriage are numerous such as companionship, mutual support and intimacy of the spouses plus the possibility of having children. In a sacramental marriage the spouses are a visible sign of the unbreakable covenant between Christ and His Church. In both cases the couple are joined and the two have become one – the 1st on a natural level, the 2nd on both natural and supernatural levels. This is not something external, superficial, and transient. Rather, it is an indelible and inner reality representing the once in a lifetime promise of one person to another. What is Jesus trying to teach us? Perhaps about the importance of the promises we make; of being faithful to what we commit to and our need to be committed to God above all else. The covenant commitment we have with God is based on mutual self-giving that guarantees a never-ending love! Marriage is an expression of that covenant made between a man and a woman who similarly want their love to never end. Marriage is a covenant. It is not just a social convention but the mutual belonging together of two people who have joined their lives. Like our commitment to God, marriage cannot be broken. When Jesus laments at how unteachable the Jews were the Lord was referring to how the heart of God’s people was divided. They wanted whatever they wanted not being able to realise that when we make promises to God and to one another we are bound to choose wisely and be faithful to covenants we make. God’s plan isn’t about following laws, rather God’s plan is one of loving fidelity to God and to each other. 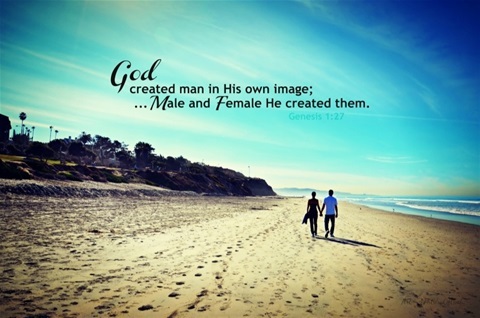 Reflect: Being faithful to Christ is the key to an unbreakable bond between husband and wife.